Beating The Siberian Winter In A UAZ-based Mobile Sauna…Yes, Really. A quick look at the broad spectrum of Russian weather in recent days looks like this: the highest temperatures are pushing 50 degrees Fahrenheit, the lowest high temperatures are somewhere approaching -50 degrees Fahrenheit. Regardless of location, it’s wintertime in Russia, a place that is often pictured as a snowy location even before you bring up Siberia. Images of people wearing ushankas (the fluffy hat with the ear flaps) trudging through the snow is pretty much the go-to image for many Western cultures regarding Russia. In short: It’s cold. Cold enough that if anything sounds good, a sauna sounds absolutely delightful. When there is snow on the ground and temperatures that are colder than the darkest pit of my heart, relaxing in a hot steam room while gently beating myself with boughs of vihta sounds amazing. But you have to travel to a sauna unless you have one built into your home. That means dressing up like a pillow and enjoying all of the nastiness of winter. Vlad from Garage54 has been at work again. Russia’s crazy gearhead uncle has a UAZ-452 that he intends to turn into a mobile sauna, or bathhouse. 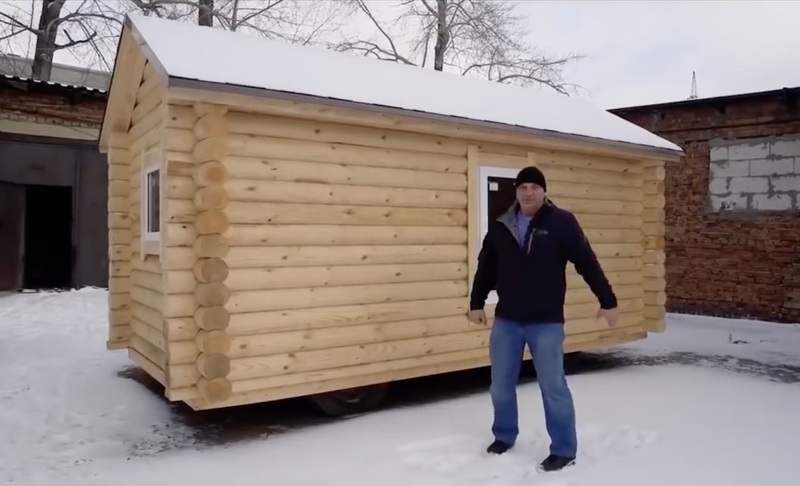 I’ll give you the build episodes, where he hacks away at the UAZ’s body and starts building the actual sauna around the frame. If you want to see the full vehicle actually in use, you look up part three. Don’t blame me for making you work…just trying to keep BangShift a bit family-friendly!